"Good sized room, everything in good order, good breakfast ch..."
Have a question for Baan Pa Ploy? 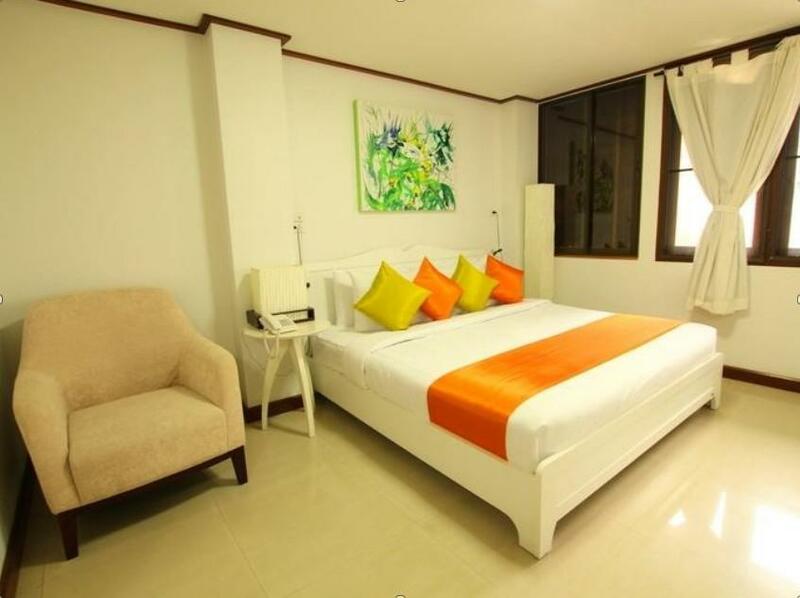 "Located in the heart of Hua Hin tourist area is hotel offers great access to the many bars and restaurants." "Clean room and friendly staff." Nestled in the heart of Hua Hin City Center, Baan Pa Ploy is an ideal spot from which to discover Hua Hin / Cha-am. Situated only 0.5 km from the city center, guests are well located to enjoy the town's attractions and activities. For sightseeing options and local attractions, one need not look far as the hotel enjoys close proximity to Tuxedo International Tailor, Bintabaht Street, Ken Diamond. Offering hotel guests superior services and a broad range of amenities, Baan Pa Ploy is committed to ensuring that your stay is as comfortable as possible. This hotel offers numerous on-site facilities to satisfy even the most discerning guest. The ambiance of Baan Pa Ploy is reflected in every guestroom. internet access – wireless, internet access – wireless (complimentary), air conditioning, balcony/terrace, television are just some of the facilities that can be found throughout the property. Besides, the hotel's host of recreational offerings ensures you have plenty to do during your stay. When you are looking for comfortable and convenient accommodations in Hua Hin / Cha-am, make Baan Pa Ploy your home away from home. "Very happy with this stay." Children under 7 years old will be charged THB 150 for breakfast per child per night when using existing bedding. Great location, just a short walk to many bars and restaurants and really quiet at night. Staff very helpful and pleasant all the time. All in all great VFM. The hotel is very nice and clean, walking distance to most tourist places. My room was quite large. The breakfast was quite good. The best is the friendly and helpful staff. I was even given a New Year gift when I checked out. Definitely will stay here again when I return to Hua Hin. All you need is available. Well located for beach, bars, restaurants, shopping etc. The hotel rooms are clean tidy have air con. Possibly road noise at the front according to a friend. I would be happy to return. I have stayed at this hotel a few times now and its always been pleasant. Unfortunately on this occasion there was building work being carried out which as we all know has to be done. although a little inconvenient at times the management did their best to keep it all to a minimum. It has not affected my overall view of the place and will stay there again. 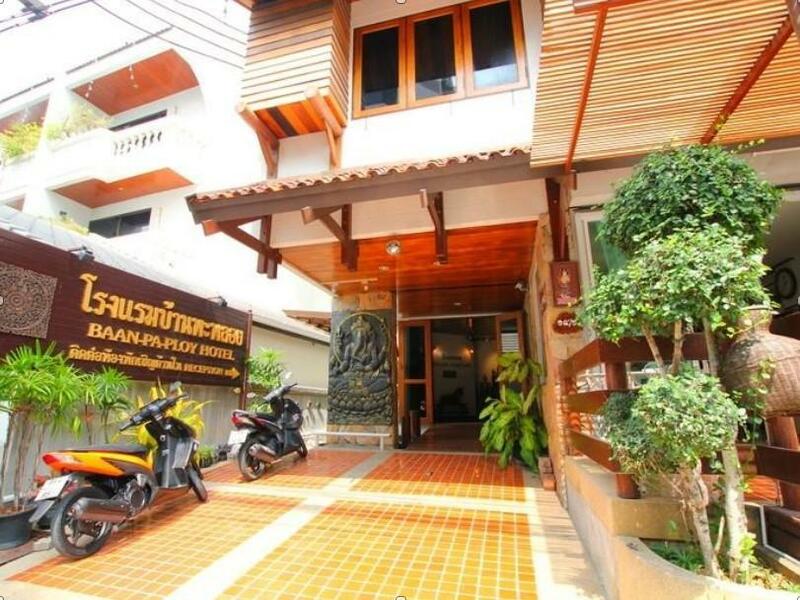 Located in the heart of Hua Hin tourist area is hotel offers great access to the many bars and restaurants. Very clean and well managed this hotel offered excellent value for money. The only negative side were the lack of facilities, but that was reflected in the low price. We stayed for 3 nights whilst travelling further South and then for another 2 nights on our way back. Good area for those that like bars and restaurants. Only issue is with booking a taxi transfer. Using Agoda to book taxi was about bt5000. Booked by the hotel is bt1800. Real taxi cost from airport was bt400. Lucky i checked it out. Very pleasant and friendly small hotel, central to bars beach etc. The people running the place are very nice and service oriented. For the money I don't see any disadvantage. Very happy with this stay. Nice staff, good value and great location (pretty much unbeatable unless you get a beachfront hotel at 5 times the price). Would gladly stay again if ever in Hua Hin. Have stayed many times. Needs a little updating in places but always clean and tidy. Friendly staff and in a good location. Breakfast light and simple but adequate. A friendly family run hotel. Always clean and tidy and in a good location. Very nice place , nice staff and Clean and Close to everything. Aon and her staff run a very nice hotel. It was kept extremely clean, the breakfast was made to order with many choices thai and farang. The location is perfect with only a five minute walk to the beach, shopping, and all the restaurants and bars you could ever want. The staff were very friendly and helpful although Aon is the one that speaks English the best. I rented a bicycle for two days and they were nice enough to let me keep it inside. Maybe because the hotel wasn't very buys. Regardless, it was very nice. If I return to Hua Hin I will absolutely stay at this hotel again. Good sized room, everything in good order, good breakfast choices. Central location with many fine restaurants nearby. Easy walk to beach and night market. Staff elders are wonderful, youngsters not so much. 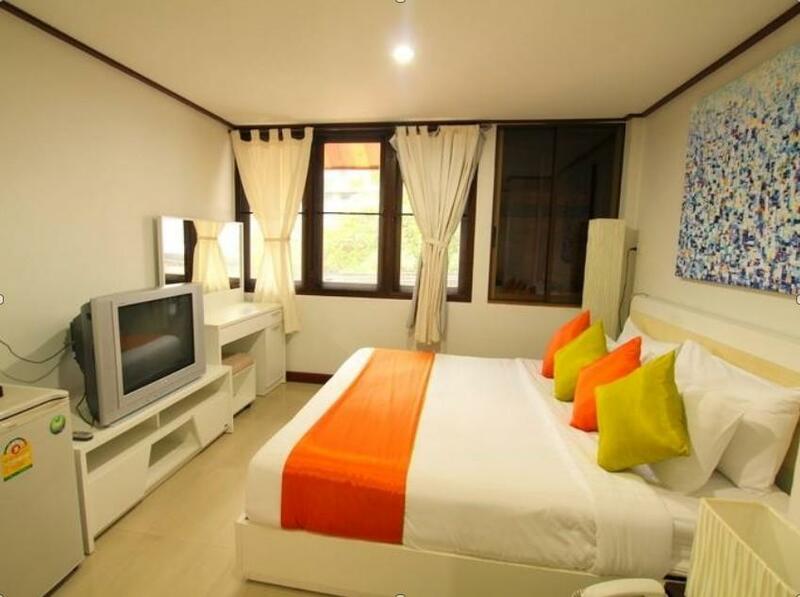 Large room with decent interior and balcony, room in good condition Great location, beach, bar streets, restaurants and nightmarket in walking distance, but hotel in very quiet area Also close to the Clocktower (drop off point for the van from Bangkok) and short walk to the train station, where you can find good local food (e.g. noodles). Staff was friendly Included breakfast provides the option to choose from 15 different sets and it's a good portion Also beachtowels available at the reception Would definitely stay again! Excellent friendly hotel and very near to bars, beach and numerous restaurants. Good functional rooms which are always kept clean. Provides a simple and light breakfast which is fine. Baan Pa Ploy always for great value. We had a good stay. This was our second visit and we will return shortly for a longer stay. Everywhere we needed to go was within easy walking distance and this hotel offers real value for money. We had a huge air conditioned room with a sun balcony which was superb for relaxation and just watching the world go by. The bathroom and shower were in our opinion 4 star standard. Breakfast menu is limited to 8 choices but the quality was again more than 2 star standard. Would absolutely recommend this hotel.